PROFESSIONAL Dr. Sheridan Mish graduated from New York Chiropractic College in March of 1999 and in 2009 achieved designation as a Certified Chiropractic Sports Practitioner® through the American Chiropractic Board of Sports Physicians. Dr. Mish has been in private practice since 1999, the first 11 of which were in downtown Canastota before moving the office to Wampsville. Since 2014 Dr. Mish has also been practicing in a second location in Utica. Since he began practicing chiropractic, Dr. Mish has kept up to date on many continuing educational classes including Pediatric, Perinatal and Family Wellness; Sports Performance Enhancement; Pediatric Neurology; Chiropractic Bio Physics Technique; Sacro-Occipital Technique; Extremity Adjusting Technique; Golf Performance Enhancement; The Science of Wellness; and Ethics and Recordkeeping, thereby ensuring that his patients receive the most comprehensive and advanced chiropractic care. 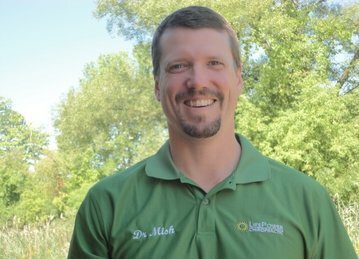 In the past, Dr. Mish has branched off into educating the profession and he has presented his Athlete Cervical Spine Injury & Rehab continuing education program to over 250 chiropractors across New York State and Dallas, TX. PERSONAL Dr. Sheridan Mish was raised in West Utica by his parents Andy and Millie. Growing up the oldest of 3 brothers, he is thankful for his brothers Aaron and Emerson. He married his high school sweetheart Irene in 1996. Dr. Mish had lived in Canastota from 1999-2013, and since 2013 has resided in New Hartford with his wife Irene and children Alison, Andrew, & Autumn. He enjoys organic gardening, chess, golfing, swimming, cycling, running, as well as coaching and playing ice hockey. Having completed a number of Central New York triathlons, Dr. Mish is also a two time Ironman Wisconsin finisher.